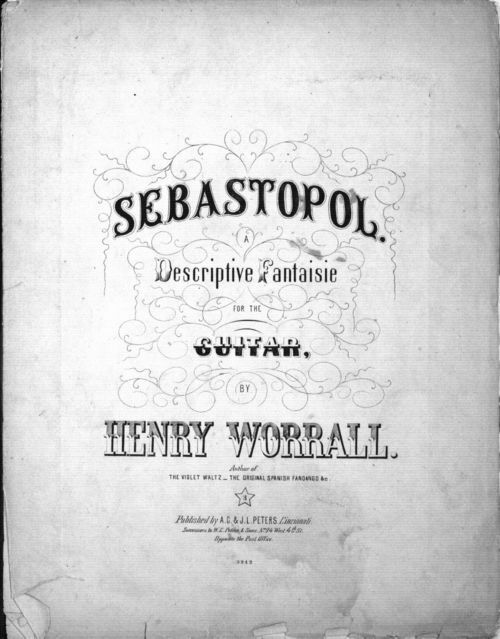 Henry Worrall composed and arranged Sebastopol, a solo parlor guitar piece, and published it in 1860 with A.C. Peters & J.L. Peters, music publishers, Cincinnati, Ohio. The piece was very popular throughout the nineteenth century. Worrall intended the piece to be an imitation of a military bugle and band. In the early twentieth century, Worrall's popular guitar instrumentals played a key role in the development of the guitar styles of southern rural folk musicians and country and blues musical idioms. Worrall moved to Topeka, Kansas, in 1868 where he died in 1902.